As a side note, one that that is never an option is leaving pets in your car. Never an option. We all know better yet people still do it. I will never understand why. Do you know what to do in the event you see an animal in a car unattended? Each state is different. I encourage you to find out what you can do legally if you don’t know. If you are reading this blog, then you obviously are a pet lover. If you see a pet in distress please don’t ignore them, they need your voice. Summer is also the cause of many skin issues for dogs. Hot spots are no fun for you or your dog. We have several great solutions for hot spots including shampoos, sprays and creams. Dogs are like people – something that works for you, may not work for me… we offer options for your pets. My go to advice is Kenic Hot Spot Spray. It has worked great on my Golden Retrievers. I use that as part 1 of the process. Part 2 is Kalaya Emu Cream, this may be the most important part as skin restoration starts when you use this product. Use the cream liberally all around the hot spot area. This keeps the healing skin soft and pliable and will soothe the spot once it starts to scab over. I have used this two part method often and it has always impressed me with the remarkable results. I have to add this note…the Kalaya Shampoo, Kalaya Spray and Kalaya Cream are the most impressive products. Emu oil is in these products and the benefits are amazing. Emu oil actually penetrates the hair follicle and it repairs, restores, and heals all the layers of the skin. It has been used for centuries for any skin issue from burns to basic dry skin. If your pets already have healthy skin it will result in a great coat…. I’ve seen amazing results on Goldens…I know that for a fact! Hope y’all have a summer full of boat rides, campfires, lightening bugs and long walks with the dogs you love the most. Pavement might be hot on the paws…so keep that in mind, but nonetheless, get outside. 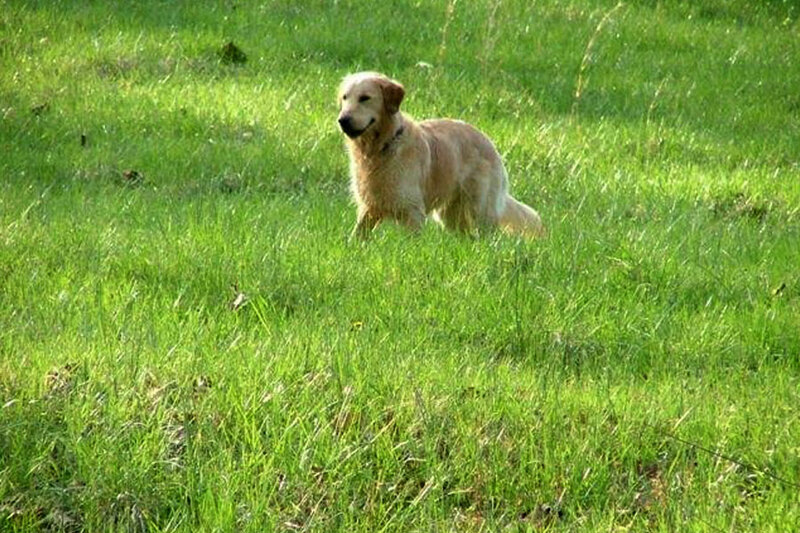 Be like your dog, run wild, wag your tail and just enjoy the ease of summertime.